Boka introduced Richmond to the gourmet food truck concept in 2010 and has been going strong ever since. Find Boka's favorite fusion tako flavors at festivals, farmers' markets, downtown lunch spots and other popular hangouts across Richmond. Or request a Boka food truck for your festival, special event or private party today! 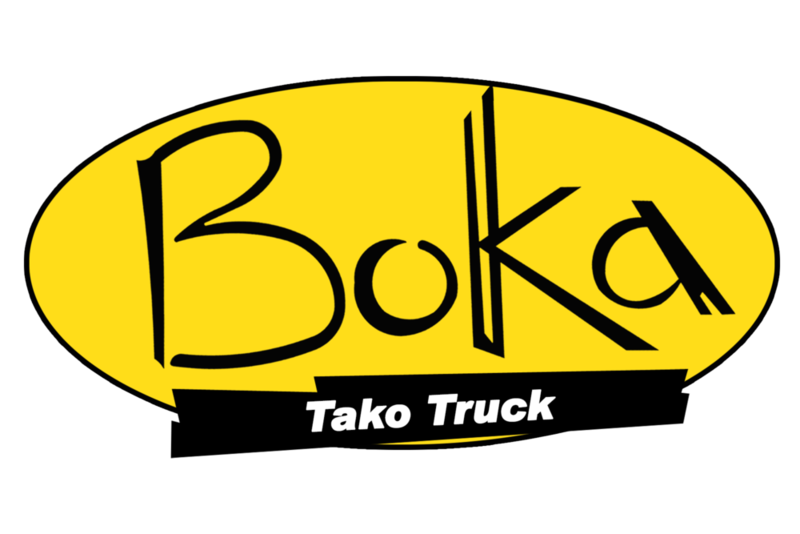 WHERE CAN I FIND THE BOKA TAKO TRUCK? Richmond first fell in love with the fusion flavors of Boka takos through our mobile trucks. In 2010 they rolled through town, introducing Richmond to the gourmet food truck concept and taking location requests in real time through our Twitter feed. Monday-Friday from 11 a.m.-2 p.m. Traveling daily, serving dedicated locations in different parts of town 8 a.m.-3 p.m. Contact us to get added in! On rotation at different locations, 5 p.m.-9 p.m.
We have a Route truck that also serves many companies we have partnered with over the years to stop in and serve when we are in your neighborhood. If you would like to be added to the route, please submit a request with the location, and we will let you know the best time we are able to accommodate for a food truck to stop in and serve you on our way. We serve through the line upon arrival, and then hoof it to our next stop, so come hungry!!! You'll also find our trucks at festivals across the area, including the Richmond Folk Festival, Dominion Riverrock, Friday Cheers and the Richmond Street Food Festival. Follow us on Facebook and Twitter to find out the latest. How can I request a boka truck at my next event? You can give your guests an out-of-the-box experience with Boka. For hot, delicious, fresh food at your next special occasion, our Boka Trucks are available to roll right up. Call us at 804-928-2652 or fill out our contact form and we'll be in touch. For full catering services, click here.